John Johnson (59), who had been shot twice on ‘Bloody Sunday’ (30 January 1972), died. His family was convinced that he died prematurely and that his death was a result of the injuries he received and the trauma he underwent on that day. The Fianna Fáil (FF) party won the general election in the Republic of Ireland. FF had a majority of 20 seats. Jack Lynch became the new Taoiseach (Irish Prime Minister). Kevin Dyer (26), a Catholic civilian, was found beaten to death on a rubbish tip at Glencairn Road, Belfast. He had been killed by Loyalists. Brooks Richards was appointed as security co-ordinator for Northern Ireland. John Major, then British Prime Minister, and Albert Reynolds, then Taoiseach (Irish Prime Minister), held a meeting in London and both called for talks between the Northern Ireland political parties to be resumed. The Irish National Liberation Army (INLA) carried out a gun attack on a group of Loyalists on the Shankill Road, west Belfast. 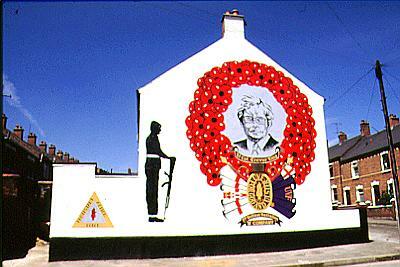 Two members of the Ulster Volunteer Force (UVF) were shot. One died at the scene, and the second died on 9 July 1994. A Protestant civilian was also mortally injured and died on 17 June 1984. A fourth man was injured in the attack. Roland John Graham (34), a Royal Ulster Constabulary (RUC) officer, and David Andrew Johnston (30), a RUC reserve officer, were shot dead in Lurgan, County Armagh. The two officers were shot from close range from behind. The Irish Republican Army (IRA) admitted responsibility for the killings. The two men were survived by five children. Found shot Minnowburn, Shaw’s Bridge, Belfast. Found shot at Mullaghduff, near Cullyhanna, County Armagh. Contractor to British Army (BA) / Royal Ulster Constabulary (RUC) . Shot while standing outside shop, junction of Spiers Place and Shankill Road, Belfast. Shot while standing outside shop, junction of Spiers Place and Shankill Road, Belfast. He died 9 July 1994. Shot, while on Royal Ulster Constabulary (RUC) foot patrol, Church Walk, Lurgan, County Armagh.